Marine debris can have a detrimental impact on marine wildlife such as seabirds and turtles. There is a gap in our knowledge about the toxic impacts, especially in our rivers and estuarine environments, where trapped plastic debris will continue to leach into those environments, triggering long-term impacts. 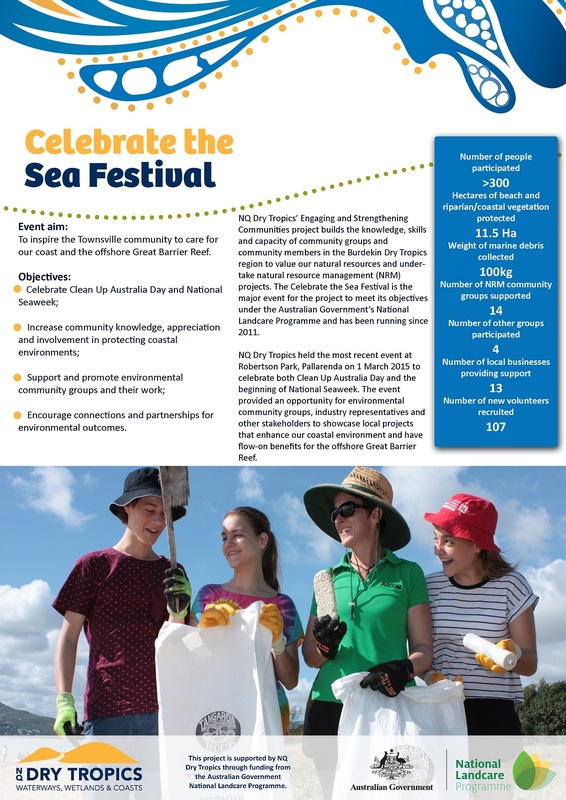 The Australian Marine Debris Initiative is an on-ground network of volunteers, communities, organisations and agencies around the country monitoring the impacts of marine debris along the coastlines. In the Burdekin catchment area local volunteers have removed one and a half tonnes of debris during 14 clean up events in 2015 alone, with about 75 per cent being plastics. Much of this plastic litter begins its journey to the ocean from towns and cities. The further downstream it travels, the harder it is to manage with increasing costs for clean-up operations. Plastic litter is a hazardous pollutant which is expected to persist in environments around the globe (Tangaroa Blue, 2016).